Henry Ford claimed, “Any customer can have a car painted any color that he wants so long as it is black.” While it is not quite correct to say that Model Ts were available in only one color, what is true is that colors can reflect the times—just like fashion. And in the lysergic 1960s, day-glow colors were the order of the day. Tastes got pretty wild in the 1950s with tri-tone paint jobs, but nothing prepared us for the color trend 10 years later. So when, exactly, did these retina-burning colors become regular production items? Best I can tell, 1968 was the first model year, and no, it wasn’t Chrysler. 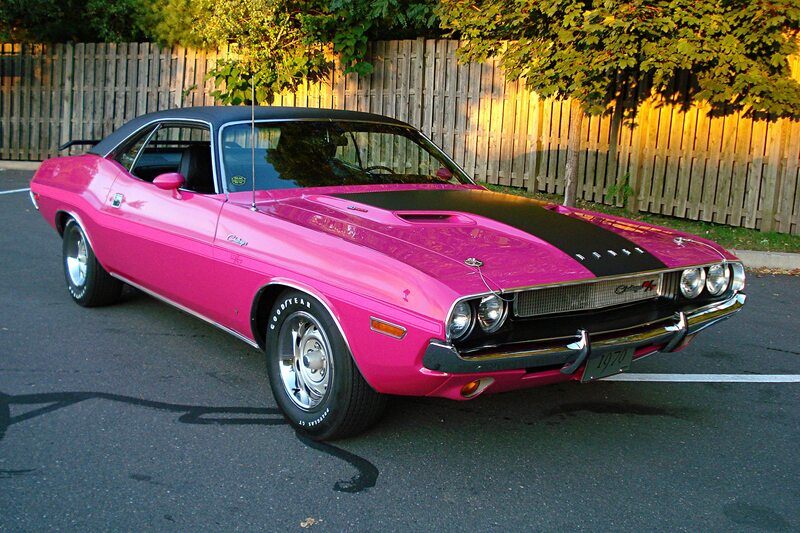 Panther Pink/Moulin Rouge just might be the most outrageous color for American muscle. 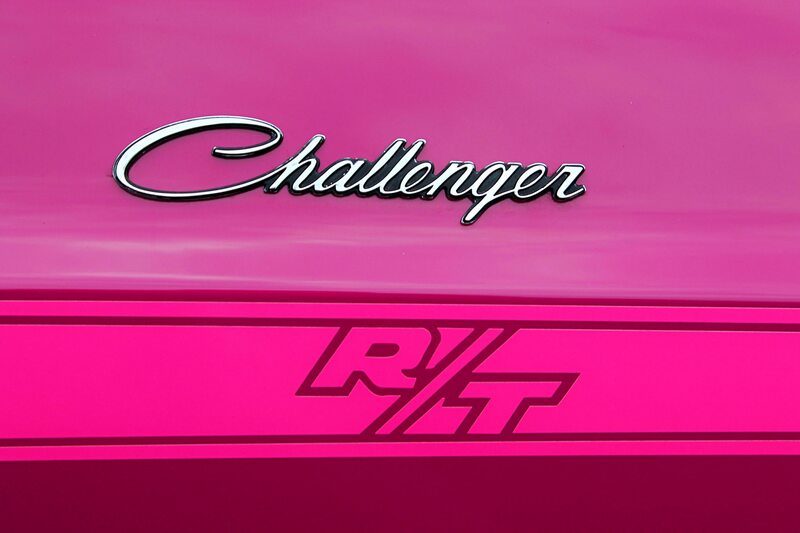 This one also features the fluorescent magenta stripe (V6M) for extra effect. Would you believe Mercury? The color was called Calypso Coral (color code 3), and it was available for the Montego series. The paint formula had its origins in Poppy Red, a color for the 1965 Mustang. For 1969, the name changed to Competition Orange, and it was joined by Bright Yellow (9) when the midyear Cougar Eliminator was introduced. In 1970, an ever-so-slightly different hue called Competition Yellow (D) was used, which was joined by Competition Blue (J), Competition Gold (U), and Competition Green (Z). The latter became a bright green metallic in 1971 and was joined by Bright Lime Green (I) in addition to the other Competition colors. Ford didn’t have the honor of psychedelia gracing its palette for 1968, instead introducing Bright Yellow (9) and Calypso Coral (3) for the 1969 Boss 302 Mustang; Ford marketed the latter color as Vermilion in 1970. Like Mercury’s Competition colors, Ford had Bright Yellow (D), Grabber Blue (J), Grabber Orange (U), and Grabber Green (Z) for 1970. Grabber Green Metallic (Z) superseded the latter in 1971, with code D being renamed Grabber Yellow and Grabber Blue staying pat. Shelby took a different path. Midyear in 1968, Shelby offered Special Yellow and five other colors, including three Special Oranges (the same as Calypso Coral, according to TheCoralSnake.com), a Special Green, plus a Special Red. For 1969-1970 Shelby Mustangs the colors available were Grabber Yellow, Grabber Blue, Grabber Orange, Grabber Green, and Competition Red (Calypso Coral). AMC may have been the little upstart, but when it decided to work the youth market, it did so with moxie. In 1969, Big Bad Orange, Big Bad Green, and Big Bad Blue were available for Javelins and AMXs complete with painted bumpers. The colors carried over into 1970, with the ponycars now featuring conventional bumpers. Buick was rather conservative in the era, with only the 1970 GSX’s Saturn Yellow (Q) being notable. It was unique among General Motors’ brands. Chevrolet introduced Rallye Green midyear in 1968, which was joined in 1969 by Hugger Orange (72, with the Corvette and Chevelle calling it Monaco Orange) and Daytona Yellow (76). The latter two continued into 1970. A less bright Sunflower Yellow (52) joined the Nova line midyear and was carried over into 1971. Dr. Oldsmobile had a few hues concocted in the laboratory for 1970. Most visible was Sebring Yellow, which was the same color as Daytona Yellow. There also was Rally Red (73), an orange that is actually different from Hugger Orange but which looks the same. Pontiac introduced two midyear 1968 colors that are rarely seen today: Carnival Red and Marigold Yellow. They were somewhat precursors to 1969’s Carousel Red (72, commonly seen on the Judge) and Goldenrod Yellow (76), both identical to Hugger Orange and Daytona Yellow, respectively. The pair was joined in 1970 by Orbit Orange (60). 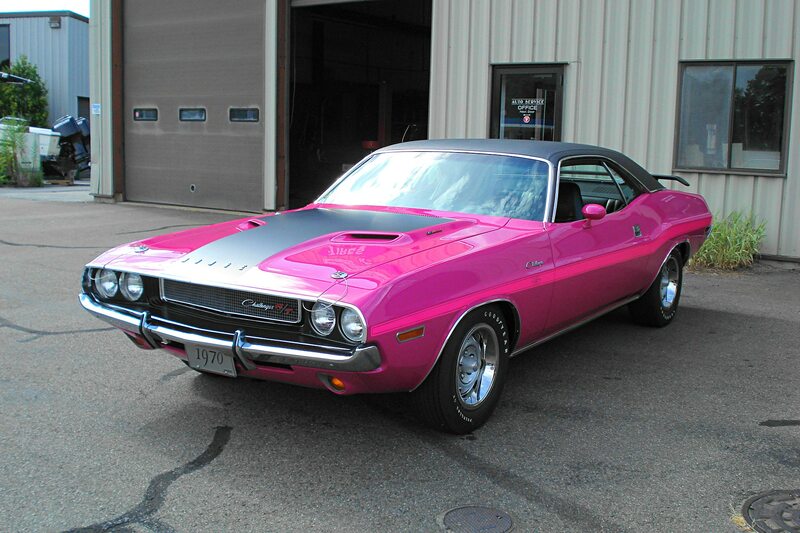 Mopar may not have been first, but it has always embraced the market with aplomb. At best, Dodge’s midyear 1968 Charger Red was a hint of what was to come—this color became Performance Red & Barracuda Orange/Bright Red (Plymouth/Dodge) for 1969. It was joined by Bahama Yellow/Butterscotch (EL5), and Rallye Green/Bright Green (EF6), with Plymouth getting Vitamin C (EK2) and Dodge getting Hemi Orange (EV2). For 1970, both marques’ day-glow palette were completely analogous and grouped under the High Impact banner: Tor Red/Hemi Orange, Vitamin C/Go Mango, Lemon Twist/Top Banana (FY1), Limelight/Sublime (FJ5), and In Violet/Plum Crazy (FC7). Midyear, Moulin Rouge/Panther Pink (FM3) and Sassy Grass Green/Green Go (FJ6) were added. For 1971, Curious Yellow/Citroen Yella (GY3) and EL5 were added to EV2, FY1 (added 9/70), FC7, and FJ6. EV2 was available through 1972 and FY1 through 1973 before the drab 1970s commenced.